The momentum diffusion of atoms in the field of two counter-propagating stochastic waves, one of which reproduces the other one with a certain time delay, has been studied. It is shown that the parameters of atom-field interaction, at which the light pressure force is maximum, correspond to the increasing momentum diffusion coefficient. In the case of high-intensity field described by the stochastic field model, the momentum diffusion coefficient was found to be proportional to the square root of the field autocorrelation time. The wave function describing the inner state of atoms is modeled, by using the Monte-Carlo method. Numerical calculations are carried out for cesium atoms. V.S. Voitsekhovich, M.V. Danileiko, A.M. Negriyko, V.I. Romanenko, L.P. Yatsenko. Light pressure on atoms in the field of the counter-propagating amplitude-modulated waves. Ukr. Fiz. Zh. 36, 1042 (1991) (in Russian). V.S. Voitsekhovich, M.V. Danileiko, A.M. Negriyko, V.I. Romanenko, L.P. Yatsenko. Light pressure on atoms in the field of the resonance to the atomic transition counter-propagating amplitude- and frequency-modulated waves. Ukr. Fiz. Zh. 18, 1100 (1991) (in Russian). E.R. Orap, V.I. Romanenko, L.P. Yatsenko. Light pressure on the atoms in the field of counterpropagating light waves with sinusoidal and stochastic phase modulation. Ukr. J. Phys. 48, 211 (2003). V.I. Romanenko. Light pressure on atoms in the field of counterpropagating waves with stochastic amplitudes. Ukr. J. Phys. 50, 438 (2005). V.I. Romanenko, B.W. Shore, L.P. Yatsenko. Forces exerted on atoms by stochastic laser fields. Opt. Commun. 268, 121 (2006). V.I. Romanenko, L.P. Yatsenko. Trapping of atoms by the counter-propagating stochastic light waves. Opt. Commun. 392, 239 (2017). V.S. Voitsekhovich, M.V. Danileiko, A.M. Negriyko, V.I. Romanenko, L.P. Yatsenko. Light pressure on atoms in counterpropagating amplitude-modulated waves. Sov. Phys. Tech. Phys. 33, 690 (1988). J. S?oding, R. Grimm, Y.B. Ovchinnikov, P. Bouyer, C. Salomon. Short-distance atomic beam deceleration with a stimulated light force. Phys. Rev. Lett. 78, 1420 (1997). L. Yatsenko, H. Metcalf. Dressed-atom description of the bichromatic force. Phys. Rev. A 70, 063402 (2004). V.G. Minogin, V.S. Letokhov, Laser Light Pressure on Atoms (Gordon and Breach, 1987). K. Molmer, Y. Castin, J. Dalibard. Monte Carlo wave-function method in quantum optics. J. Opt. Soc. Am. B 10, 524 (1993). A.T. Georges, P. Lambropoulos. Saturation and Stark splitting of an atomic transition in a stochastic field. Phys. Rev. A 20, 991 (1979). A.T. Georges. 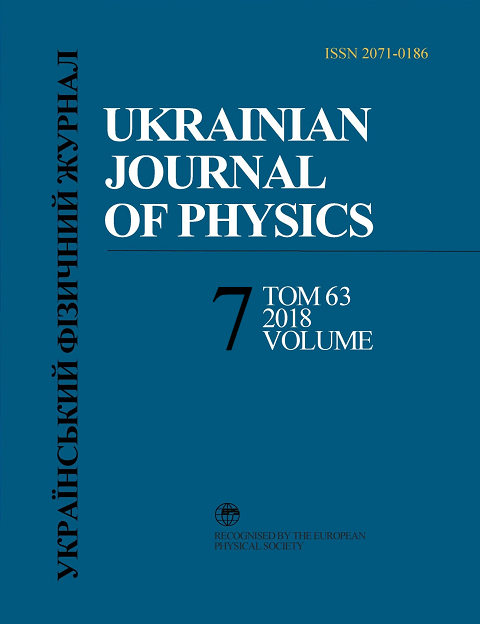 Resonance fluorescence in Markovian stochastic fields. Phys. Rev. A 21, 2034 (1980). W. Horsthemke, R. Lefever. Noise-Induced Transitions: Theory and Application in Physics, Chemistry, and Biology (Springer, 1984). H.J. Metcalf, P. van der Stratten. Laser Cooling and Trapping (Springer, 1999). B.W. Shore. The Theory of Coherent Atomic Excitation, Vol. 1 (Wiley, 1990). R.F. Fox, I.R. Gatland, R. Roy, G. Vemuri. Fast, accurate algorithm for numerical simulation of exponentially correlated colored noise. Phys. Rev. A 38, 5938 (1988). G. Vemuri, R. Roy. Effect of injected field statistics on transient dynamics of an injection seeded laser. Opt. Commun. 77, 318 (1990).